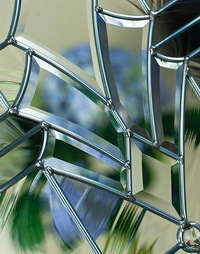 Radiant Hues appeals to your appreciation for both striking and subtle design. 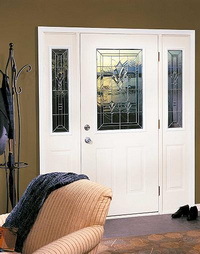 Geometric grids, beveled prisms, and a nickel finish give your entry door a Contemporary and quiet elegance. Radiant Hues has a low privacy level.